A market research company is using surveys delivered through cell phones to collect data on food shortages from the regions in Africa worst hit by the Ebola virus. Mobile Accord, based in Denver, Colorado, has been working with the United Nations’ World Food Programme (WFP) to collect real-time data on food shortages related to Ebola from cellphone users in Africa. The WFP uses the results of the data to coordinate food deliveries to about 600,000 people affected by the Ebola crisis, including ensuring those under quarantine get enough to eat without having to leave their location. An October 10 report from the World Food Programme determined that two African districts hit hard by the Ebola virus, Kailahun and Kenema, are facing severe food shortages and are using increasingly desperate measures to cope. 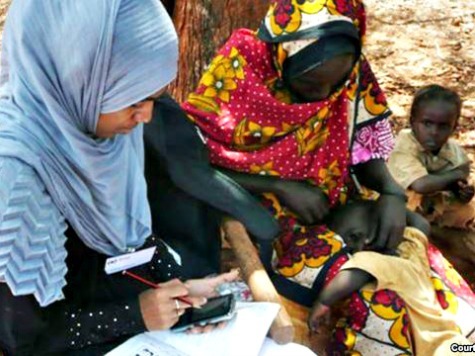 The WFP used Mobile Accord’s technology to collect data for the report. Cellphone users in Africa opt-in to take the surveys, with many receiving airtime credit for their responses. The surveys are generally short, just 15-20 questions, and are designed to help gather data in remote, hard-to-reach locations. For the World Food Programme report, district residents were asked how often they are able to feed their families, how and why they aren’t receiving a sufficient amount of food, and whether they are borrowing money to help pay for food. Gutterman said these surveys can help provide a more complete picture of the real statistics on the ground, some of which differ from official reports. According to the WFP report, 75 percent of those surveyed in Kailahun and Kenema reported reducing their number of daily meals and cutting down on portion sizes. Eighty percent said they tried to eat less expensive food. A 2010 study found that residents in these regions were among the most food-secure in the country; now, with the ebola outbreak decimating these Eastern regions, these places have the worst “food-related coping indicators” in the country. The World Food Programme will reportedly continue to conduct mobile surveys on a monthly basis in order to maintain an up-to-date account of the region’s food problems. Gutterman said his company will be well-positioned to help.